Nearly 50 more members, including 11 kids, of a Chinese megachurch closed down by the communist government in December were arrested at two different venues last Sunday, a watchdog group has reported. Following the closing of Chengdu’s Early Rain Covenant Church and the arrest of its pastor, Wang Yi, on Dec. 9 for “inciting subversion of state power,” government actors are continuing to harass members of the congregation as they gather for worship inside of homes. According to an update from the church, multiple homes that were hosting prayer gatherings on Feb. 24 were surrounded by police officers who ultimately interrupted the proceedings. At two of the home church services, every person in attendance was detained. There were reports of children, the elderly and even a pregnant woman being mistreated. Pastor Wang’s elderly mother was reportedly insulted and beaten. On Saturday, two more churchgoers were arrested when they went to the Chengdu Police Station to visit their detained friends. Arrests and detentions are not the only forms of harassment the Early Rain Covenant members have faced. According to the church, authorities have put pressure on landlords and employers. This has resulted in some churchgoers losing their homes and jobs. Some have had to move back to their hometowns. 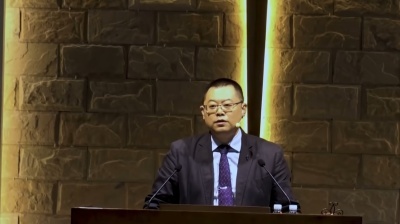 In December following the arrest of Pastor Wang, over 160 church members were arrested. China ranks as the 27th worst country in the world when it comes to the persecution of Christians, according to Open Doors USA’s 2019 World Watch List. Last year, Fu warned that the Chinese government is supervising a plan to rewrite the Bible in its attempt to “sinicize” Christianity. China’s crackdown on non-state-sponsored religion has seen the demolition of churches and the removal of hundreds of crosses from churches. “Religious freedom in China has really reached to the worst level that has not been seen since the beginning of the Cultural Revolution by Chairman Mao [Zedong] in the 1960s,” Fu told members of the House Foreign Affairs’ Subcommittee on Africa, Global Health, Global Human Rights, and International Organizations last September.